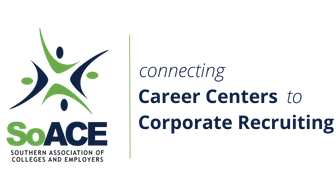 Professional development programs are conducted throughout the year for the SoACE membership and will provide Continuing Education Units (CEU’s) for both Human Resource professionals (HRCI) and Career Services professionals (NBCC). These programs will also be part of the Emerging Leaders and Master’s Series programs as well as topic specific information for the SoACE Knowledge Groups (KG’s). Programs are given by both SoACE members as well as outside presenters with information of interest to the membership. This on-going series of professional development sessions will provide learning opportunities for new as well as seasoned professionals. If you are interested in hosting a virtual program to the SoACE membership or you would like to participate in the series, please complete the program request form. Please submit your program request at least four weeks prior to your ideal program date.